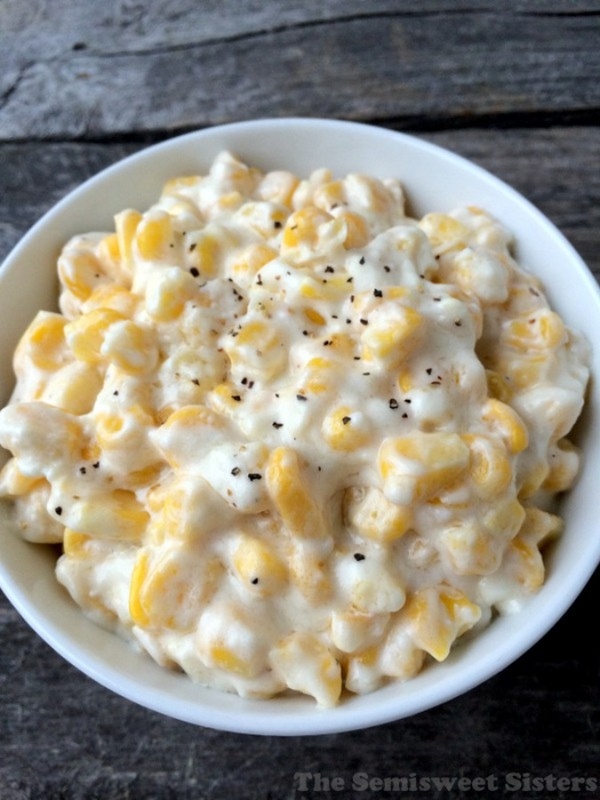 Crock Pot Cream Corn Recipe By Holly | The Semisweet Sisters. This corn is crazy good!!!! Making this for Thanksgiving this year. Super easy! Just dump everything in the crockpot and serve after a few hours.